Posted by HubTechInsider in Mobile Software Applications, Product Management, Project Management. The mobile web is where the action is in 2011. We have all seen the polls and the statistics: people are spending more and more time accessing the web through their mobile smartphones and mobile tablet computers. The mobile Web grew 110 percent in the U.S. last year and 148 percent worldwide as measured by growth in pageviews. Including devices such as the Kindle, the iPhone and other smartphones, web-enabled tablets, GPS systems, video games and wireless home appliances, the growth of the mobile web has been exponential — and we’re still just at the beginning of this cycle. Morgan Stanley’s analysts believe that, based on the current rate of change and adoption, the mobile web will be bigger than desktop Internet use by 2015. The proliferation of better devices and the availability of better data coverage are two trends driving growth; having better services and smaller, cheaper devices has led to a huge explosion in mobile technology that far outpaces the growth of any other computing cycle. Global 3G penetration is expected to hit 21% this year. In Japan, where the U.S. looks to find its mobile roadmap for the future, 96% of mobile subscribers already have 3G coverage. In Western Europe, the penetration is around 54%, just slightly above 46% in the U.S. In developing and/or economically depressed areas, including the Middle East, Africa, parts of Asia, Eastern Europe and South America, 3G penetration is still in the single digits. 3G access is a key point in the success of the mobile web, providing very usable surfing speeds for mobile web usage. In addition, mobile e-commerce is ramping up faster than online e-commerce, now making up 4% of total retail sales. In certain categories, such as computers, consumer electronics, music, movies, tickets, video games and books, online sales account for between 45% and 20% of the total retail market. Japan’s Rakuten shows how the mobile share of e-commerce is growing as well, from 10% of e-commerce in 2006 to nearly 20% now. Video now accounts for 69% of mobile data traffic, and the overlap between mobile users and social web users continues to grow; more and more users are accessing the social web from a mobile device. Real-time technology and location-based services are expected to drive mobile retail, and a very interesting fact is that the average iPhone user only spends 45% of his on-device time making voice calls. Feature Phones: Feature Phones such as the Motorola Razr are used primarily to make calls, and they consume little bandwidth even for web activities because they have stripped-down web browsers. Feature phones and their users tend to consume around 100 Megabytes of data downloads a month, using 4 MB of voice calls an hour, and 4 to 5 MB of web browsing per hour. 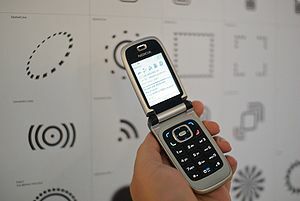 Smartphones: Smartphones such as Research in Motion’s popular Blackberry are used for phone calls, email, and light web browsing. Smartphones and their users tend to consume around 185 Megabytes of total monthly data downloads, utilizing 4 MB per hour for voice calls, and 4 to 5 MB of web browsing. Superphones: Superphones are advanced smartphones, including Apple’s iPhone and Motorola’s Droid, that make it easy for people to surf the web and watch online videos, leading to much higher bandwidth use. Superphones and their users tend to consume around 560 Megabytes of total monthly data downloads, using 4 MB per hour for voice calls, 40 MB per hour for web browsing, 60 MB per hour for internet radio, and 200 MB per hour for YouTube videos. Tablet Computers: Tablet computers such as Apple’s newly unveiled iPad are likely to send data use even higher. The iPad will chew up even more bandwidth than the iPhone because of its larger screen. Tablet computer and iPad users tend to consume 800 to 1,000 Megabytes of total monthly data downloads, using 50 to 60 MB per hour for web browsing, 60 MB per hour for internet radio, and 300 to 400 MB per hour for YouTube videos. If your web based application or site is not optimized for the mobile web, you are falling behind and losing out on transaction revenue, sales, data, customers: you name it. There are many methods and techniques that can be used to optimize your web based application or site for the mobile web. In this article I will describe how I optimized a commercial b2c ecommerce application for the mobile web, and then I will go into more details as to how you can use the same techniques I used on the http://www.tshirtnow.net mobile site and also how you can use different techniques to optimize your own web-based mobile application or site. 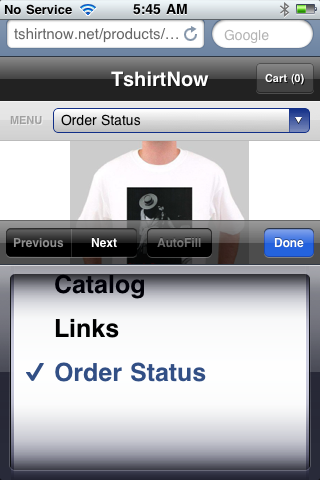 For the tshirtnow.net mobile site, I utilized a technique to present a mobile-optimized version of the tshirtnow.net web site to mobile browser users such as those surfing the web site on an iPhone, iPad, or Android mobile phone, and the regular version of the tshirtnow.net web site to users who were accessing the web-based b2c tshirtnow.net ecommerce application from regular web browsers on a desktop or laptop computer with a browser like Google Chrome or Microsoft Internet Explorer. But using a special CSS stylesheet that is optimized for mobile browsers, along with the reglar tshirtnow.net CSS stylesheet, we are able to automatically detect what type of mobile browser platform the user is currently accessing the tshirtnow.net web site with. 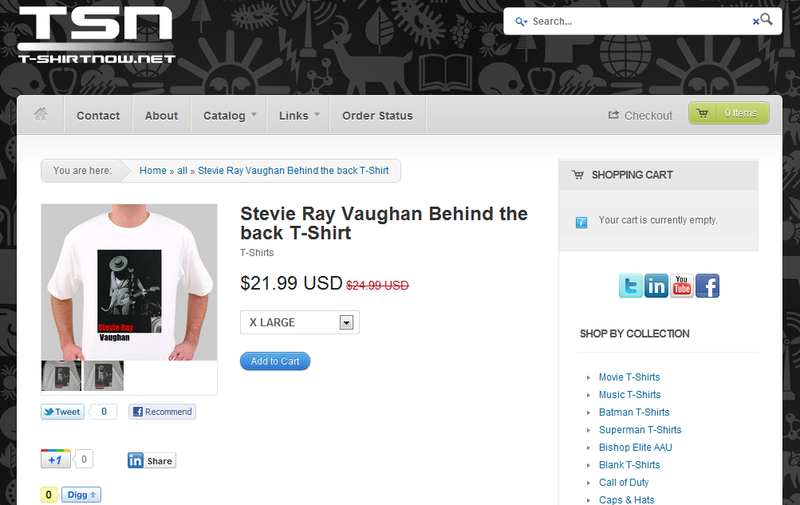 Using the CSS information contained in the tshirtnow.net mobile cascading style sheet (CSS), we are able to render the exact same html content which represents the different pages on the site such as product detail pages, order status pages, and the home page with different formating and styles, and even content sections, all just by using CSS. The advantages of this technique are rather obvious. First of all, there is no need to recreate dozens or even hundreds of static html content pages, as the exact same content and pages can be cleverly re-purposed simply by providing for planned degradation of the user’s web experience according to what type of mobile device and mobile browser platform they are currently using. Secondly, the use of CSS to provide a mobile optimized experience allows for the use of special CSS tags and techniques which can provide iPhone and iPad iOS orientation (landscape or portrait) and touch detection, intelligent web page scaling, special mobile OS (iPhone, iPad iOS or Android, Blackberry, HP WebOS) controls and rich media player capabilities, and phone/web integrated telephony. I will go into much more detail about some of these advanced CSS capabilities and I will provide more information about them as well as links to more resources on the web later in this article. I encourage readers of this article who have not already done so, to read my previous article, a Glossary of mobile Web Terminology, for references to some of the terms I will use throughout this article. Knowing mobile web terminology will also assist you in creating wireframes and mockups for mobile web applications, and will be a great boon to your mobile application software specifications as well. 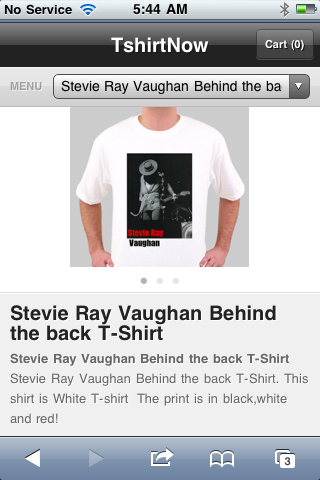 As you can see, iPhone users see a gently degraded web page, which contains many of the most important, but not nearly all, of the controls, links, graphics and content of the normal tshirtnow.net home page. This mobile-specific version of the exact same web page is presented to the user not though the use of another web page, but simply through the use of the mobile-optimized style sheet. 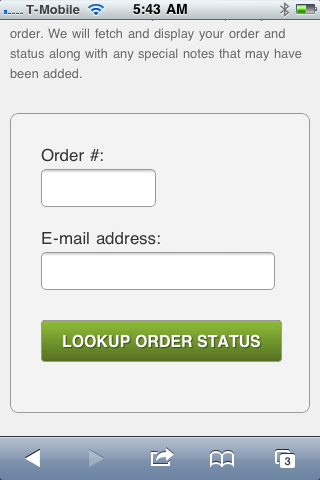 You can see that not only has the check order status button been dynamically resized in order to accomodate the smaller screen width of the iPhone mobile safari browser, but also that the hairline css curved corners border around the order number and email address input form fields has been resized too. All of this dynamic width modification, including the button graphic itself, which is rendered using standards-based css, happens on the fly from one set of html pages. A typical b2b or b2c web-based ecommerce application that provides content pages that are driven by databases and displaying and presenting the results of database queries can produce thousands of individual web pages. To provide a mobile-optimized version of each of these pages is a prohibitively expensive and time-consuming endeavor that is beyond the performance envelope of most software development organizations. The skillset needed to perform heavy CSS manipulations and platform-specific mobile optimizations may not be present on your current software development team. J2ee and other types of system and application software programmers may not have the requisite ability to manipulate and create a mobile optimized CSS stylesheet, and the necessary experience required to effectively develop and test platform-specific and progressively enhanced mobile CSS may not be present on your current team. 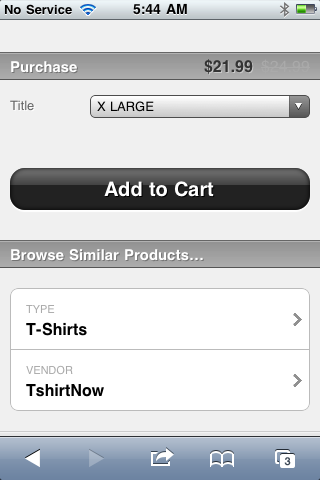 You can see that the mobile version of the tshirtnow.net product detail page contains less content, and the content that is displayed on the mobile version of the product detail page is in a different location than the content on the regular, desktop browser version of the tshirtnow.net product detail page. All of this is performed not through HTML manipulations or server side includes, but is instead accomplished exclusively through the use of CSS. Because of this use of CSS to render mobile versions of the same html content pages, all scenarios have been accounted for, opening up the entire tshirtnow.net web site, all products, all static html content pages, all dynamic interaction controls such as search engines and results pages, are made available to mobile web browsers using this technique. If instead the decision had been made to create unique, static html pages for mobile browsers, then a detection mechanism such as WURL or user-agent string detection would have had to have been employed in order to serve up unique html pages. The program to create many thousands of unique pages for all of the major functions, plus a unique mobile template for all of the product detail pages, would have been extremely cost and resource intensive. Handheld media stylesheets should be as small and compact as possible because of download time. What can you do to simplify your site and make it more usable in mobiles? First, eliminate some of these problematic items from mobile display. Eliminate decorative images that slow down the loading process. Use display:none to remove anything that isn’t absolutely necessary, such as links to external resources. Remember, however, that devices that don’t understand CSS won’t do anything withdisplay: none. Any essential images need to be reworked for the small screen and the width and height attributes need to be included in the HTML. Eliminate nested tables and layout tables. If you have tabular data, consider finding a way to present it in a linearized alternate display. Once you’ve simplified through elimination, start building the rules you need to add. Consider these ideas. If you have a long navigation list at the start of the page, add a skip to main content link, or move the links to the end of document flow. Keep the number of clicks required to get to content as minimal as humanly possible. Without a mouse or keyboard, most mobile users have to click laboriously through any top navigation. Make sure your color combinations provide good contrast between foreground and background colors, particularly for devices with fewer color options. The Opera Web browser comes with a feature that is of use to QA – the Opera Small Screen Renderer. Download the latest version of Opera. Go to the page you want to test. The screen will switch to a narrow version of the page. When you’re done testing, hit Shift-F11 to toggle back to normal view. In the BlackBerry Documentation for Developers, there is a documentation for the BlackBerry Browser, including CSS Reference – BlackBerry Browser. There is no specific mention of CSS3, but that document lists supported CSS properties. There is also a BlackBerry Widget web standards support page that states 4.7.1 and 5.0 have partial support for CSS 3 color and full support for CSS 3 marquee, CSS 3 media queries, CSS 3 namespaces and CSS 3 selectors. You can try acid3.acidtests.org and http://www.css3.info/selectors-test/test.html on the respective browsers to check some compatibility, but that may not be an exact determining factor of full compatibility. However I don’t think any of the mobile browsers currently fully support CSS3. Both iPhone and Android systems use WebKit as the rendering engine in their mobile browsers. I believe Blackberry are moving to Webkit as well at some point. This engine has some of the best support for parts of CSS 3 available at the moment, as well as quite a lot of proprietary extensions. I would recommend researching what is available in WebKit, and then testing. A great resource for support tables is http://www.quirksmode.org where PPK is doing more and more mobile browser testing to answer just these kind of questions. You’re reading Boston’s Hub Tech Insider, a blog stuffed with years of articles about Boston technology startups and venture capital-backed companies, software development, Agile project management, managing software teams, designing web-based business applications, running successful software development projects, ecommerce and telecommunications. I’m Paul Seibert, Editor of Boston’s Hub Tech Insider, a Boston focused technology blog. I have been working in the software engineering and ecommerce industries for over fifteen years. My interests include computers, electronics, robotics and programmable microcontrollers, and I am an avid outdoorsman and guitar player. You can connect with me on LinkedIn, follow me on Twitter, follow me on Quora, even friend me on Facebook if you’re cool. I own and am trying to sell a dual-zoned, residential & commercial Office Building in Natick, MA. I have a background in entrepreneurship, ecommerce, telecommunications and software development, I’m a Technical PMO Director, I’m a serial entrepreneur and the co-founder of several ecommerce and web-based software startups, the latest of which are Twitterminers.com and Tshirtnow.net. What are the qualities of bad software code? What is a software requirement? How do you write good software requirements? What is a software requirements traceability matrix? What is pattern-based software development? What is pattern-based design for software projects? How do you define user interfaces for software projects? What are the five stages of every Venture Capital deal? How many Stock Options should executives at a startup be granted? What is ‘Management By Walking Around’? How much bandwidth does a smartphone use? How much bandwidth does an Apple iPad use? How much bandwidth does an Apple iPhone use? What is a product roadmap? What is an engineering roadmap? How do you create a product roadmap? How do you create a Competitive Analysis document? What is a “Use Case”? What is a “User Story”? What is UML? What is Unified Modeling Language? What is EDIINT? What is AS2, AS1, AS3 and AS4? Posted by HubTechInsider in Ecommerce, Mobile Software Applications, Telecommunications, Wireless Applications. It has been several years now that I have been reading and hearing about mobile phone toting consumers being able to purchase soft drinks from vending machines through the use of SMS texts to the vending machine. The possibilities of a mobile digital wallet, a North American equivalent of European Smartcards and mobile SMS payments systems, to be used as a payments service for smartphones, certainly include the hypothetical future displacement of the cash register as the payment method of choice for consumers on the go. NFC, or Near Field Communication, may perhaps have such a potential. Since the middle of December, in and around Portland, Oregon, Google has been handing out hundreds of NFC kits to local businesses as part of an NFC trial they are calling “Hotpot”. The Google Hotpot kits include special NFC-capable window decals. NFC is a low power technology that beams and receives wireless information from up to four inches away. When consumers with NFC-equipped telephones such as the latest models of Android operating system cellular phones, scan a NFC-equiped window decal, they will be presented with information on their mobile device such as business hours, reviews, and more. The hope is that the increasingly mobile consumer will willingly engage with local merchants using this new technology, allowing merchants to interact with the generations of consumers growing up with texting and mobile smartphones in their pockets. 2011 is really shaping up to be the year of NFC, with Google considering building an NFC-based payment service in the U.S. that could make its debut later this year. The technology would let customers pay for items by passing their smartphone over a small reader. A single NFC chip would be able to hold a consumer’s bank account information, gift cards, loyalty cards, and coupons, say the two people, who requested anonymity because the plans aren’t public. Google’s NFC scheme includes an advertising component that would allow merchants to beam a coupon or other reward to customers while they are shopping. Of course, advanced smartphone owners can already complete mobile transactions by downloading payment applications. Paypal’s iPhone iOS application, for example, lets PayPal users transmit funds to other PayPal account holders. But NFC technology could potentially streamline such transactions. Users of advanced smartphones equipped with NFC technology don’t need to launch an application; they simply wave or tap their smartphone against a small reader device and enter a PIN number on it to authenticate their purchases. A Google NFC network offering would encounter stiff competition from the start from the likes of companies such as Verizon, AT&T and T-Mobile, the three of whom in November 2010 formed a joint commercial venture called ISIS that plans to launch an NFC-based payments service by 2012. Visa is also field testing several mobile payment technologies, including NFC, and plans a commercial rollout later this year. 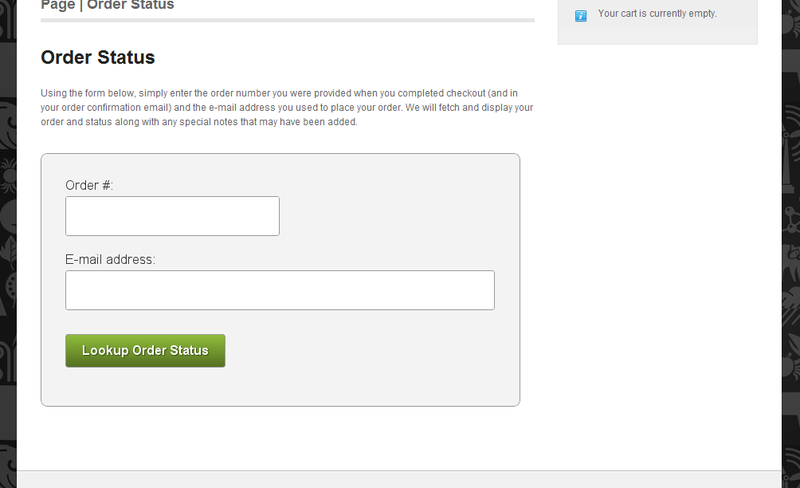 It is rumored that PayPal, a division of eBay, may test an NFC service in the second half of 2011 as well. Silicon Valley is hard at work on NFC technology too, with Apple having filed a patent for a process to transmit money between cellular telephones using NFC. Apple recently hired NFC expert Benjamin Vigier away from mFoundry, a startup that helps banks build mobile payments applications. If the next iPhone does come equipped with an NFC chip, then perhaps Apple will process mobile payments through Apple’s iTunes store. The increased competition and jockeying for position in the NFC space is undoubtedly due to the high stakes involved, as the prize for whoever wins the NFC race is a dominant position in a small but fast-growing market that could displace the cash register in time. A leading market research firm, IE Market Research, estimates that by 2014, NFC-based payment systems will account for a third of the $1.13 trillion in worldwide mobile transactions. In mid-December, Google, whose former CEO, Eric Schmidt, has said that NFC will “eventually replace credit cards”, in December 2010 bought Zetawire, a Canadian startup with several NFC patents to its name, including a novel method for diners to split up and pay a restaurant bill using their smartphones. If Google does decide to launch an NFC payments network, they would have the built-in advantage of its very large and rapidly expanding installed user base of Android smartphone owners. Every single day, around 300,000 people activate Android telephones, and they accounted for more than 25 percent of the new smartphones shipped in the third quarter of 2010, according to the Wall Street Journal. The latest version of Google’s smartphone operating system, Android, capable of reading NFC tags is dubbed Gingerbread. Later this year, software updates to Android will let Android smartphones transmit information using NFC as well. In December 2010, Google introduced its Nexus S smartphone, based on Android Gingerbread and carrying an NFC chip onboard. In January 2011, Starbucks announced that customers would be able to start using a bar-code application on their smartphones to purchase coffee in some 6,800 of its stores. There are obstacles to widespread consumer adoption, however. For an NFC-based payments network to really work, Google needs to convince not just Android smartphone owners but also local merchants who must install NFC readers to process mobile payments. Hotpot, which Google has been promoting heavily, introduces merchants to the NFC technology. NFC is already in heavy use in parts of Asia and Europe. You’re reading Boston’s Hub Tech Insider, a blog stuffed with years of articles about Boston technology startups and venture capital-backed companies,software development, Agile project management, managing software teams, designing web-based business applications, running successful software development projects, ecommerce and telecommunications. I’m Paul Seibert, Editor of Boston’s Hub Tech Insider, a Boston focused technology blog. You can connect with me on LinkedIn, follow me on Twitter, even friend me on Facebook if you’re cool. I own and am trying to sell a dual-zoned, residential & commercial Office Building in Natick, MA. I have a background in entrepreneurship, ecommerce, telecommunications andsoftware development, I’m a Technical PMO Director, I’m a serial entrepreneur and the co-founder of TwitterMiners.com & Tshirtnow.net. Posted by HubTechInsider in Startups, Venture Capital. Boston’s Apperian, a maker of mobile applications, raises $500k from CommonAngels. Acton’s Azuki Systems, a provider of a mobile media communications platform, raises $4 Million from a group of investors including Sigma Partners and Kepha Partners. Posted by HubTechInsider in Investing, Startups, Venture Capital. Portable power cell maker Lilliputian Systems, Inc., partners with Intel. 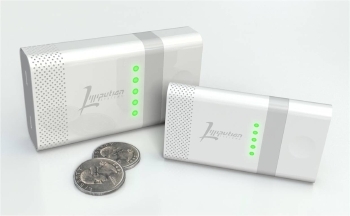 Lilliputian Systems, Inc. has developed the world’s first Personal Power™ solution for Consumer Electronics devices, a revolutionary and disruptive family of products targeted at the $50 billion portable power market. The Company’s breakthrough solution delivers the only viable small form-factor battery replacement that provides the enormous run-time improvements demanded by today’s CE devices. A compact fuel cell can power consumer electronics, using replaceable $2 butane cartridges. The energy density of butane (a/k/a lighter fuel), of course, is much higher than a lithium ion battery. Wilmington-based Lilliputian has been slowly improving its fuel cell prototypes. Today they’re announcing that Intel Capital is making an investment in Lilliputian, and that the chipmaker will also produce the silicon wafers — a crucial component of the finished fuel cells — at its Hudson, Mass. manufacturing plant. Lilliputian’s power systems will be integrated into new mobile phones or laptops, rather than sold as accessories. Instead of plugging them into a wall outlet once a day, you’d just jam in a new butane cartridge every week or two. Prior to the Intel investment, the company had raised about $90 million in venture capital, and taken a $5 million low-interest loan from two state agencies, MassDevelopment and the Massachusetts Clean Energy Center. The company’s backers include Kleiner Perkins, Atlas Venture, Stata Venture Partners, and Rockport Capital. Posted by HubTechInsider in Acquisitions, Startups. Waltham’s Red Bend Software, a provider of mobile software management tools, acquires Santa Clara’s VirtualLogix, a provider of real-time virtualization technology for mobile handsets, for undisclosed terms. PMO Director. These are my personal thoughts about software development, technology and related topics that interest me. In general, you will find a bias towards project management related issues and lots of talk about interacting with stakeholders or programmers. I try to present a technical view from a user's perspective. The views presented here on my professional and personal blog represent my own views and experiences and not those of my employer. Share HubTechInsider.com with your Social Network! What is an ACNA? What is a CCNA code in telecommunications? What is indirect spend? What are indirect spend items? The top six ways you failed by firing your employee, even if they were a bad employee. How do you create a Competitive Analysis? What is a competitive analysis? How do you write software requirements? What are software requirements? What is a software requirement? How do you create a competitive analysis? What is a software requirement? How do you write software requirements? What is software traceability? What is a software requirements traceability matrix? What is 'Management By Walking Around'? What is a "Use Case"? What is a "User Story"? What is NFC? What is Smartphone Near Field Communications? A great decal that is sure to improve your gameplay. This decal lets you run and gun, no scope, toss grenades, launch Noob tubes, and dual wield with deadly accuracy. Saves time in close combat: you will not have to bring up your scope or sights for amazing long range video gaming kills! 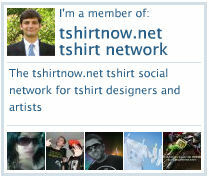 Tshirtnow.net – Earth’s Largest T-shirt Megastore! 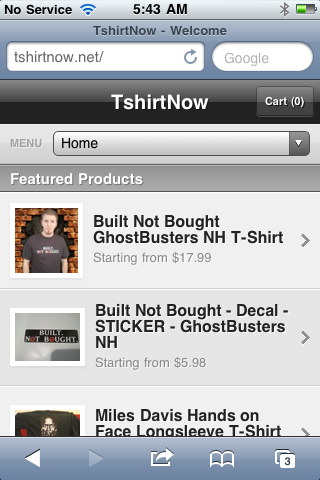 Tshirtnow.net – Under $10.00 Items! HubTechInsider.com by paul seibert is licensed under a Creative Commons Attribution 3.0 United States License.